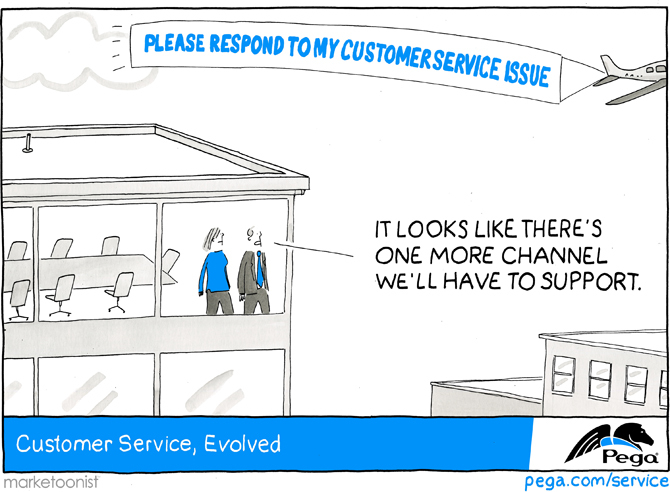 Customers expect their service experiences to be fast, easy, and right the first time— regardless of channel. 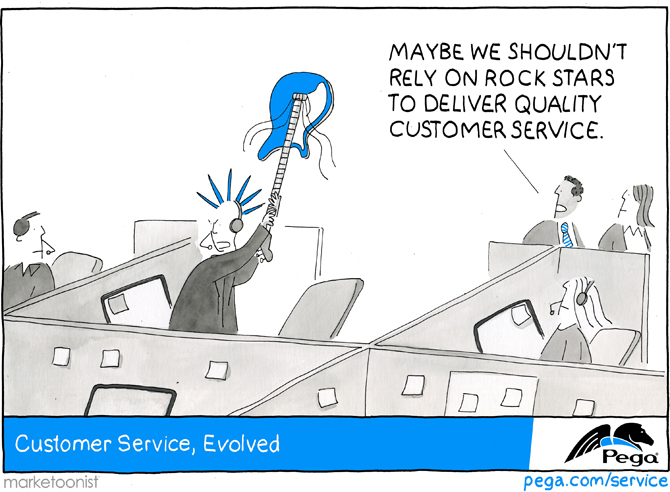 Pega Customer Service allows service organizations such as American Express and Kaiser Permanente to deliver consistent interactions across every channel. 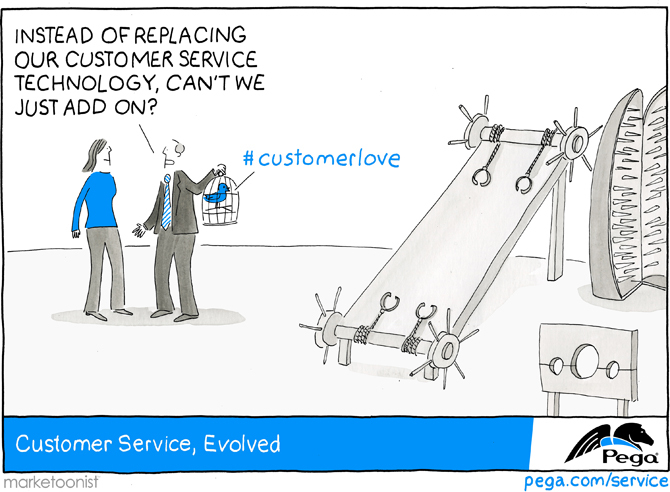 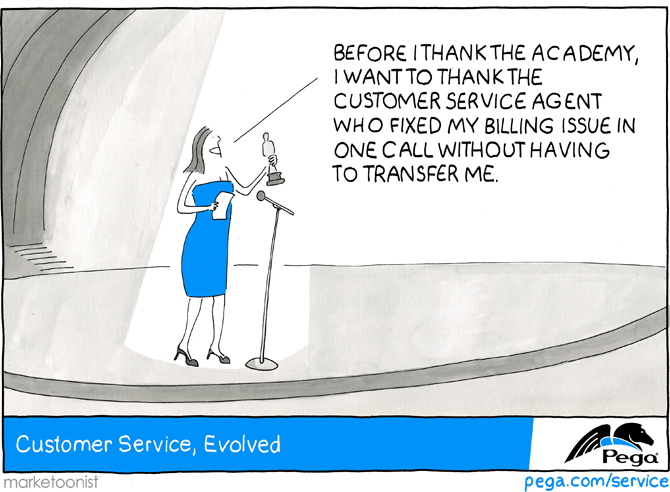 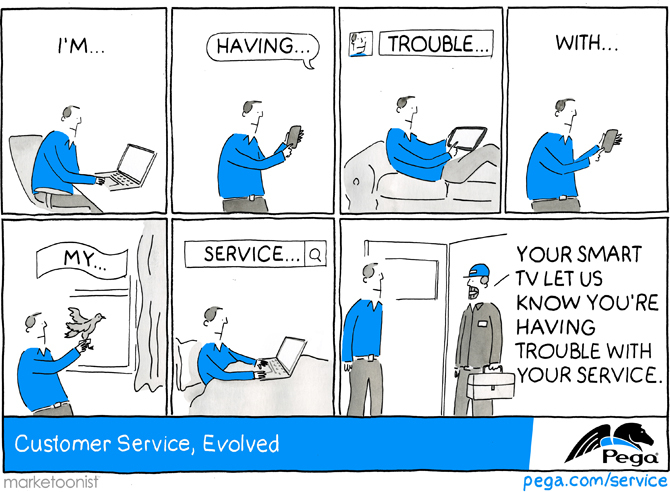 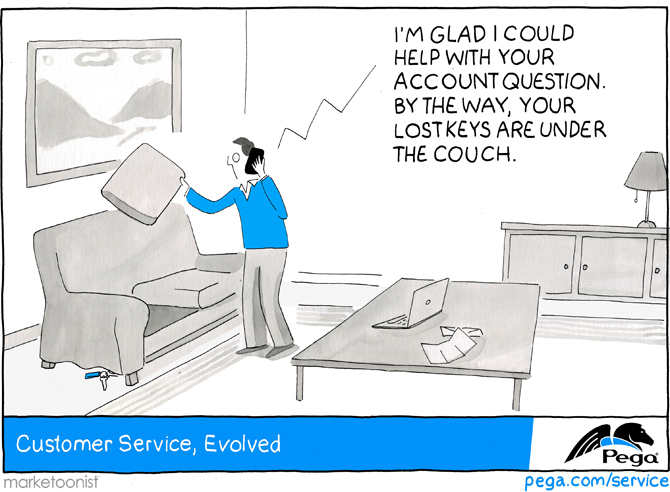 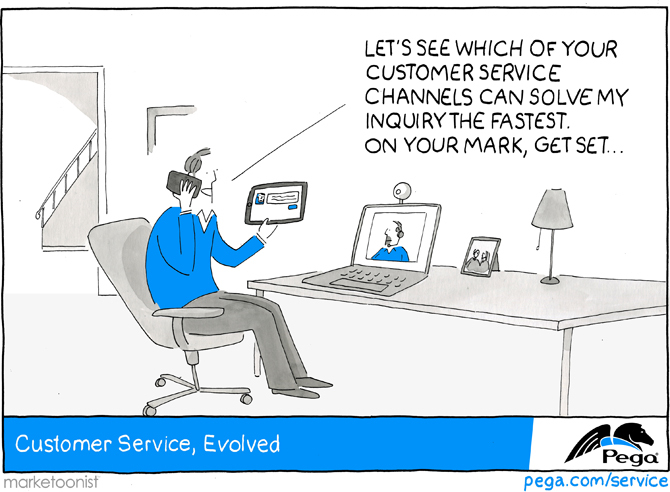 We created a marketoon series to connect with Pega customers and introduce the future of customer service. 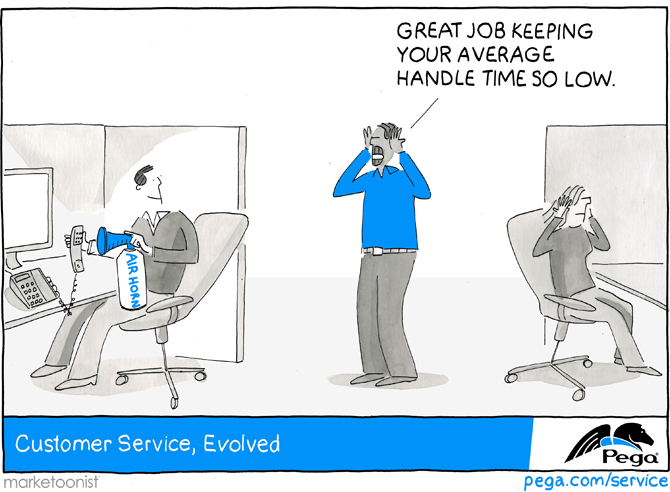 The series were leveraged throughout Pega’s sales channel and in social media.